Iran’s Foreign Ministry spokeswoman, Marzieh Afkham, has denounced an attack on Shiite Muslims on Ashura, asking Saudi officials to identify and punish those behind the terrorist attack in the country. Iran has strongly condemned a terrorist attack in Saudi Arabia on a gathering of Shiite worshippers mourning the martyrdom anniversary of Imam Hussein (PBUH), the third Shiite Imam. Iran’s Foreign Ministry Spokeswoman Marzieh Afkham on Tuesday denounced the assault in al-Ahsa, the largest governorate in Saudi Arabia’s restive Eastern Province, which killed five mourners and wounded 30 others on Monday. She said Muslim and non-Muslim states have always respected the traditional Ashura ceremonies and provided security for the mourners. Afkham called on the Saudi government to ensure security for people attending religious ceremonies and identify and punish the elements behind the terrorist attack in the country. 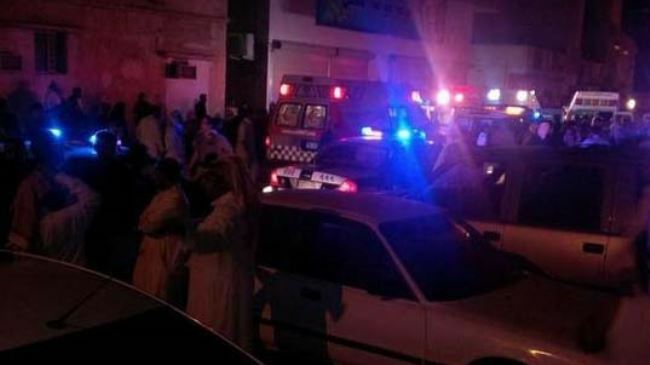 The attackers shot the victims with pistols and machine guns, the official Saudi Press Agency reported but provided no further details on the identities of the attackers or the victims. According to the agency, an investigation into the deadly raid is underway. The attack comes after a Saudi court on Monday handed down relatively long jail terms to three anti-regime activists as the kingdom continues its crackdown on dissent. There have been numerous demonstrations in Saudi oil-rich Eastern Province since February 2011, with protesters calling for the release of political prisoners and an end to discrimination against minority Shiite Muslims. However, the government has responded with heavy-handed crackdown tactics. In October 2012, Amnesty International called on Saudi authorities to stop using excessive force against the protesters.